This violin was modeled in Maya to suit the level of detail needs for a close up still life render. A main goal of mine was to capture the subtle fingerprints and dirt on the surface of the glossy violin material. 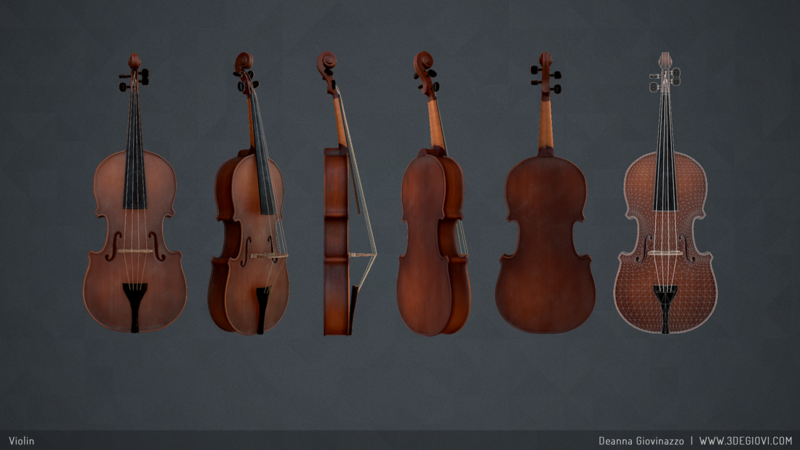 The violin body diffuse texture to the left was created by combining a procedural wood texture I created in Substance Designer with additional hand-painted and baked detail in Photoshop.